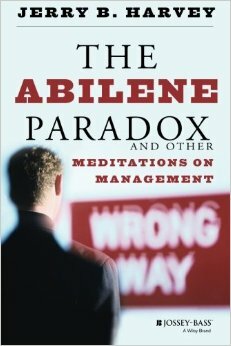 Book review: The Abilene paradox and other meditations on management by Jerry B. Harvey. The book “The Abilene paradox and other meditations on management” by Jerry B. Harvey is not a traditional out-of-the-box management book. This book gives some great stories, meditations, and food for thought about behaviour aspects in an organization and that in a brilliant, sometimes funny way! I created some slides to highlight most of the chapters. It’s all about transparency (see also my other posts on transparency)! The Abilene paradox talks about a family (father, mother, daughter and son-in-law). The father suggests going for a dinner in Abilene. A one-hour drive but nobody really wants to go there, but everyone thinks everyone else wants to go there, but is afraid to speak up. For me a fantastic example what it means to be transparent in your organization and really say what you want to say. 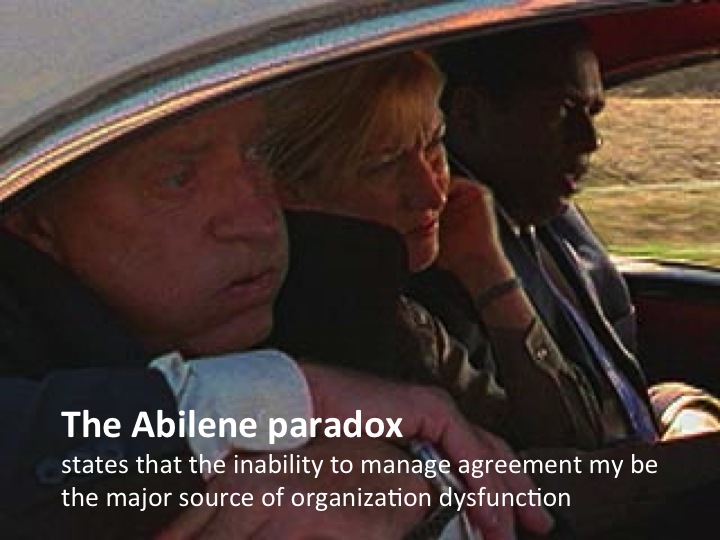 Think about your own roads to Abilene in your organization. 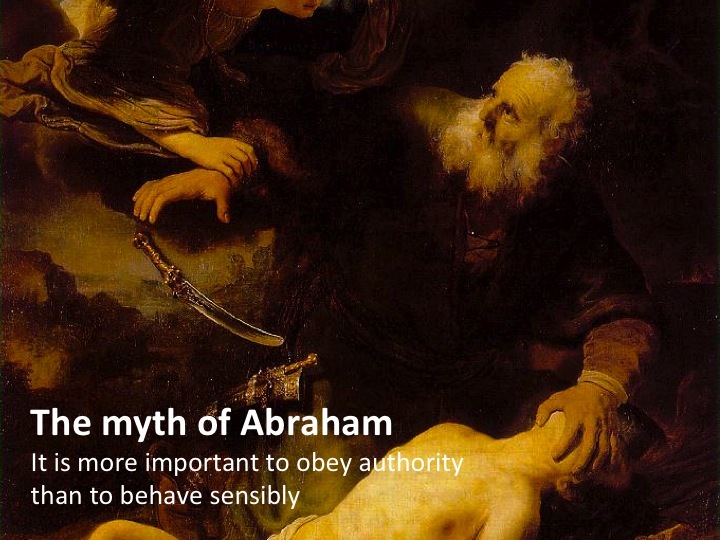 In the story of the organizations as Phrog (no mistake) farms and also in the next chapter Management and the myth of Abraham we see that within organizations lots of staff just follows the chain of command. Think about project managers who don’t believe in the viability of the project just start, not having the courage to speak up, to refuse the assignment. 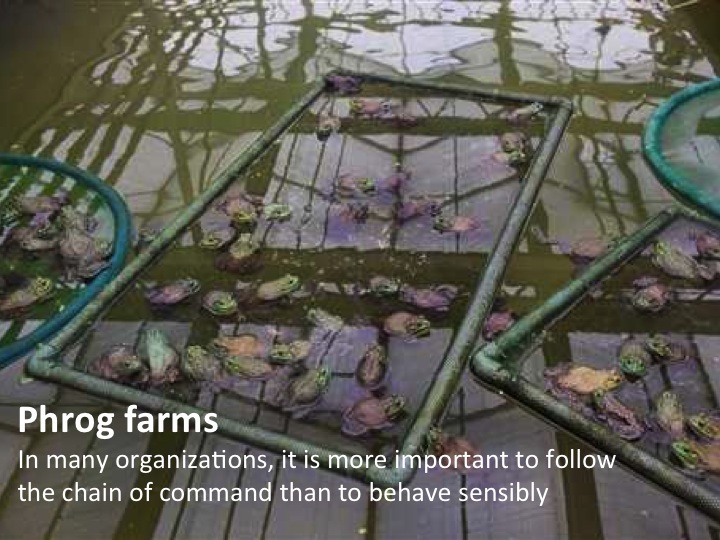 For me, these are again examples of organizational transparency. 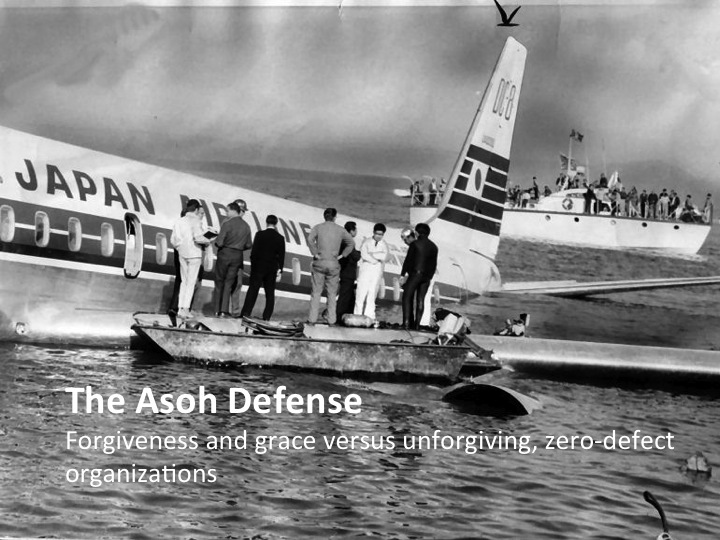 The Asoh story is about a flight that occurred November 22, 1968. “It’s been more than forty years since Captain Kohie Asoh, the Japan Air Lines Pilot, landed his DC-8 jet with 96 passengers and 11 crew members, two and a half miles out in the San Francisco Bay but in nearly exact compass line with the runway.” In this story transparency means: take responsibility for your own actions and as an organization accept that mistakes can happen. 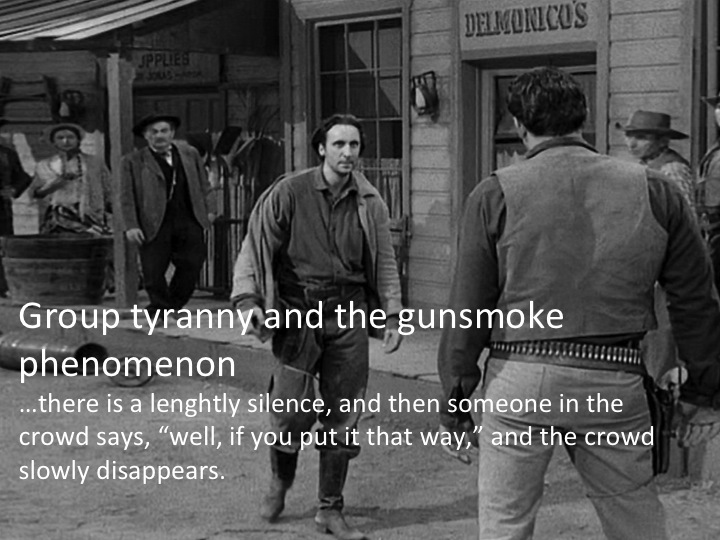 The gunsmoke story is a story where people don’t have the guts to speak up and just follow what the group is doing. 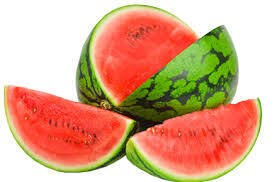 Everybody is waiting for the right moment to step out of what is happening. In this case a Marshall who stands for his prisoner and said the first who crosses this line will be shot. 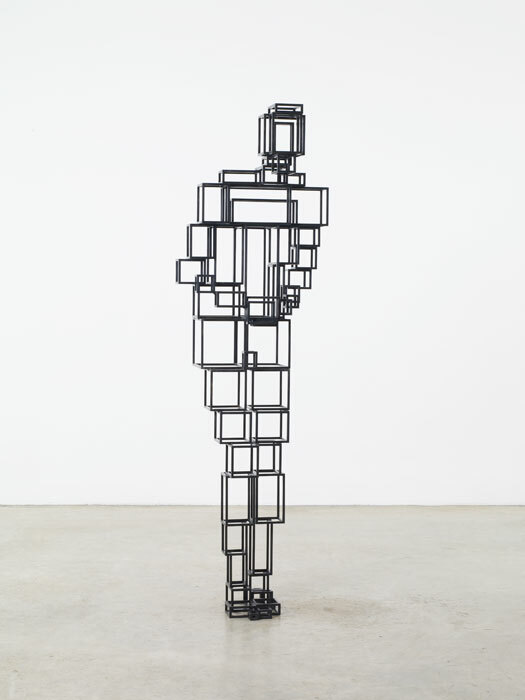 How transparent are the individuals in the group? 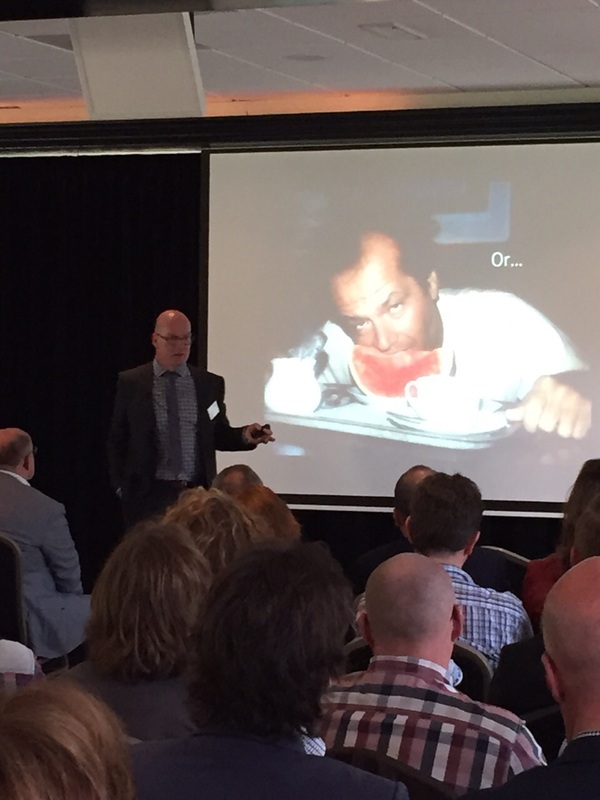 The last chapter ‘encouraging future managers to cheat’ is about the paradox that at schools and universities we get punished if we cheat (we work together) and in our working life we have to work together. In the story it’s turned around. If you don’t cheat you get punished!